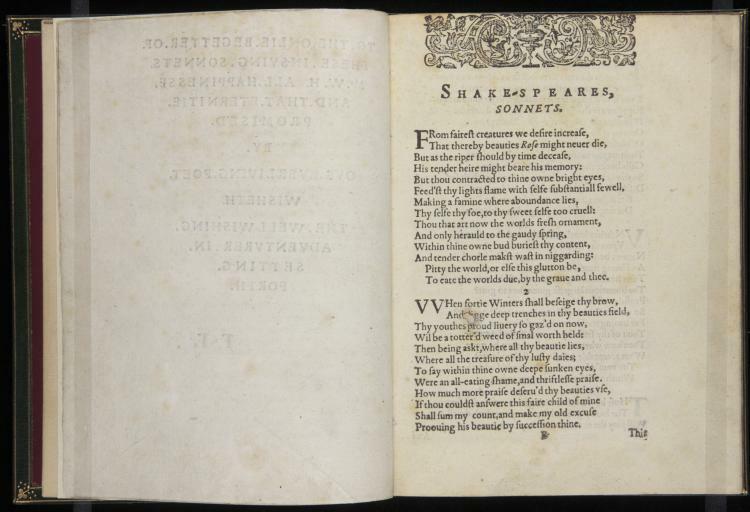 Shakespeare’s plays offer a small prism through which we can catch the particulars of his life, but the sonnets would seem to offer something more. 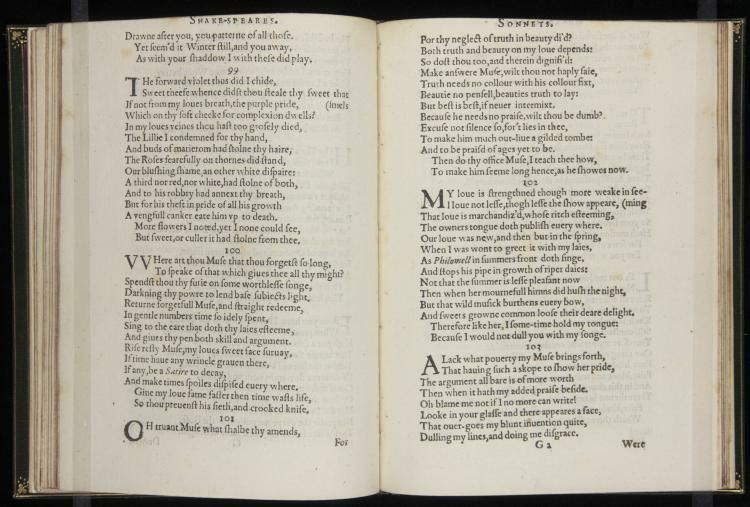 First published as a collection in 1609, the many fourteen-line poems brought together in G. Eld’s edition chronicle moments, variously, of longing and sexual frustration, of desire and caution, that modern notions of the lyric would encourage us to think of as autobiographical and confessional. 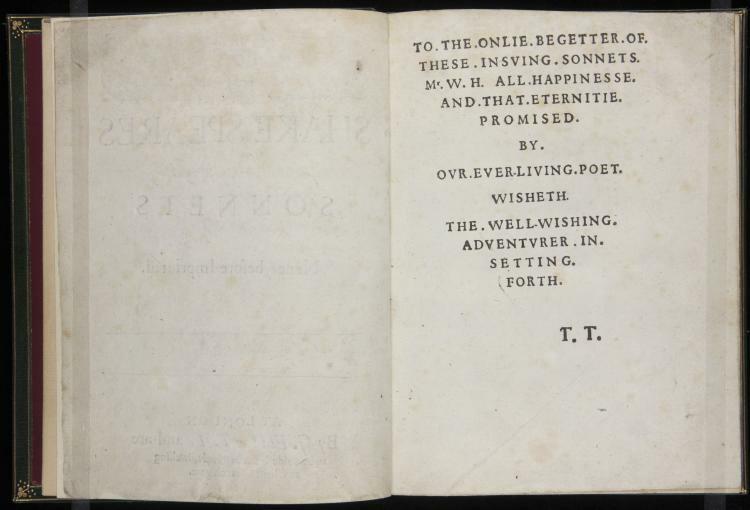 Many of the poems are addressed to a young boy; others take an older lady as their object, forming the so-called “Dark Lady” sonnets. There is much that has been conjectured about the identities and relations of these unnamed addressees, and much that has been conjectured about Shakespeare along the way. 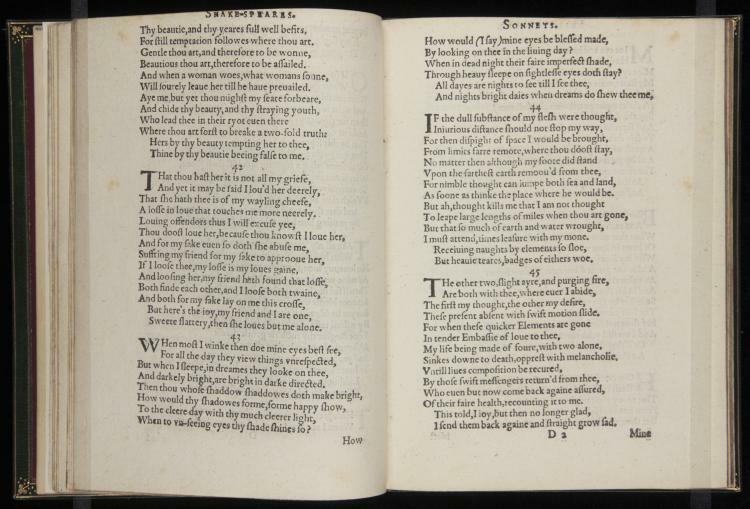 But there is a way that the 1609 Sonnets obscure a significant condition of Shakespeare’s life just as much as they reveal it. 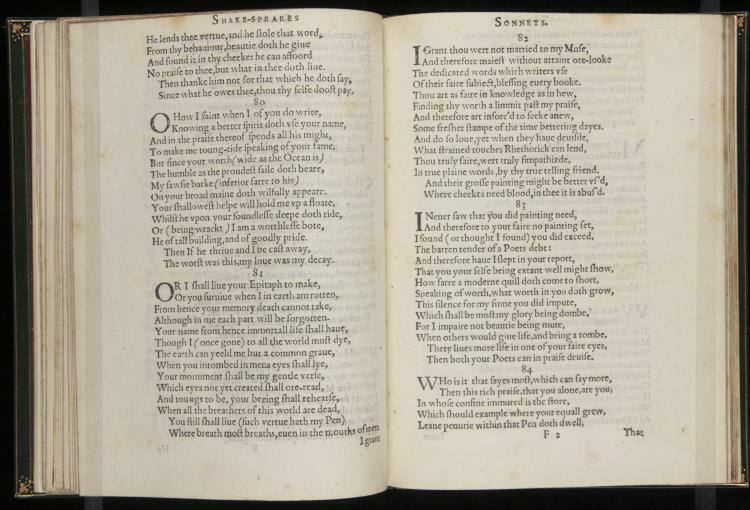 In all likelihood, the sonnets collected in the 1609 edition were composed at disparate moments throughout Shakespeare’s career; by 1598, they were well known enough for Francis Meres to mention them favorably in his Palladis Tamia, and shortly thereafter, a few of them made their ways into anthologies of English poets. 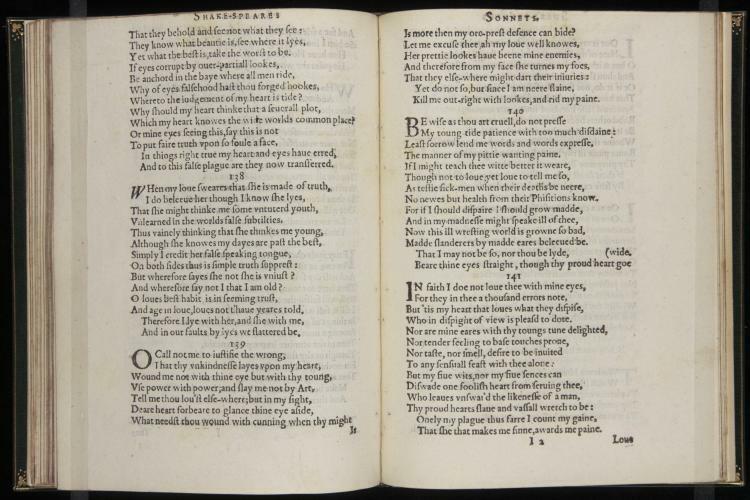 Shakespeare’s sonnets, in other words, were not originally written for the kind of collection that the publication of the 1609 Sonnets–coupled with our own publication and compositional habits–would lead us to believe. 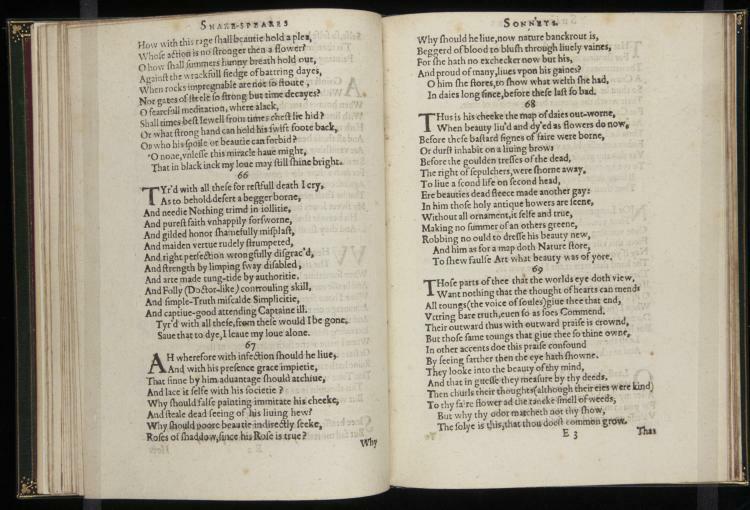 And so the activity of putting together Shakespeare’s sonnets for a specific edition, in which Shakespeare is the only author, starts to look less like a way of reproducing Shakespeare and his poems, and more like a powerful way of constructing them anew, giving them a shape and a meaning they had never quite had before–but that seems, today, entirely familiar.